The 36 hectare site are the subject of special attention? : Respect for the environment is paramount. The vines are naturally grass and soil are regularly worked to maintain water resources. 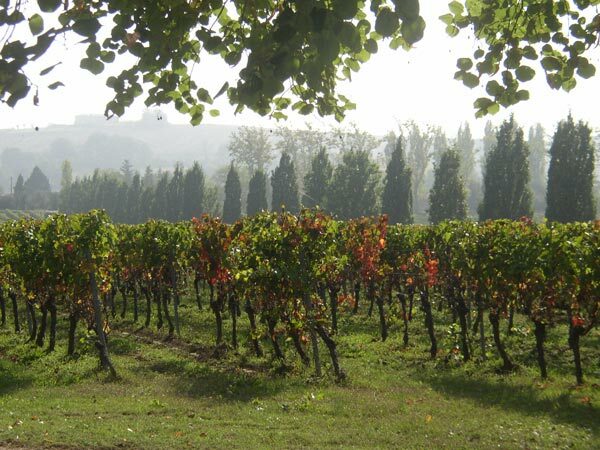 For Domaine d'En Segur, the difference is in the vineyards. To ensure the quality of wine, much work is done by hand. In spring, each foot is carefully disbud only the finest buds are left. Then the vines are leafless, sunrise side, around the clusters. The grapes will be sunny and well ripen slowly. To concentrate quality vines are harvested green, the grapes are sorted to select only the most promising, there will be only 6-8 bunches per vine. Each plot is cultivated according to the desired wine. The attention to vineyards is reflected in the wines.